Double the fun. 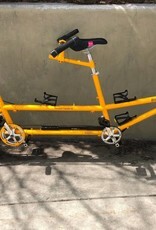 Take our Bike Friday Tandem Traveler XL for the day. 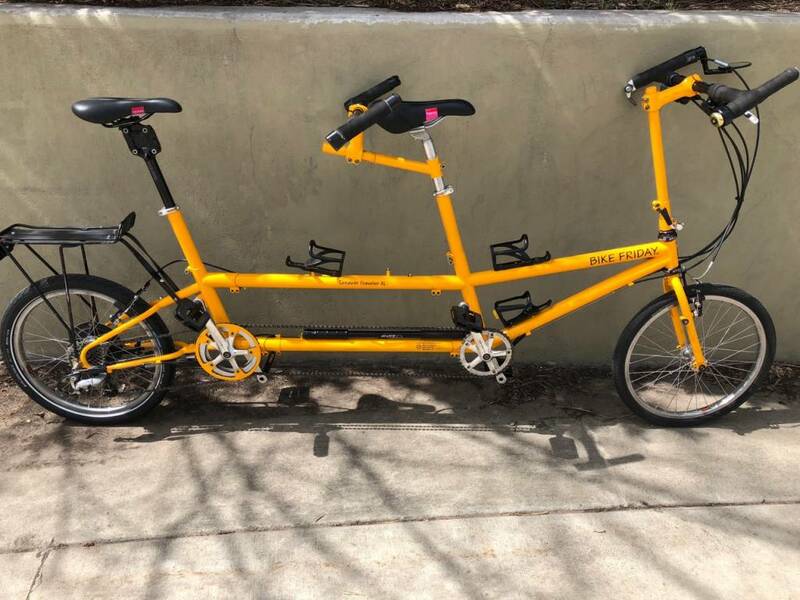 Well appointed for touring in the Colorado mountains our tandem rental features a 3x7 Dual Drive gearing system and drum brake for bleeding off speed down those long descents. Will accommodate riders of many sizes. Please call ahead for reservations.